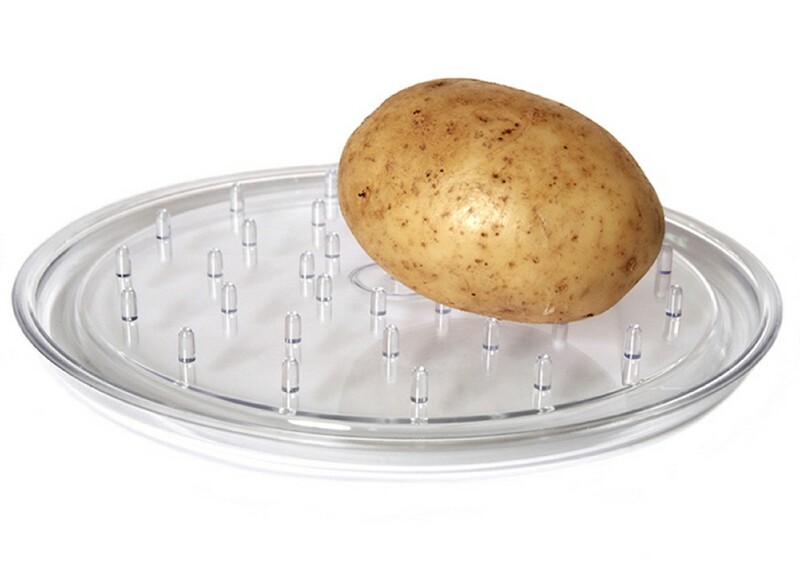 Multi purpose cooking and defrosting tray for use in microwave ovens. Microwave defrosting tray for chops, chicken legs, bread etc. The tray has a number of small pillars which support the food allowing for even defrosting and cooking. There is also a channel around the outside of the tray allowing any fat released during cooking to drain away so the meat is not sitting in it's own fat.